WeSchool, Mumbai conducted the “Flag Hoisting” on campus on 15th August 2018 at 9:00 a.m. Dr. Avik Sarkar, Head – Data Analytics Cell at NITI Aayog, Govt. of India, graced the event as the Chief Guest. 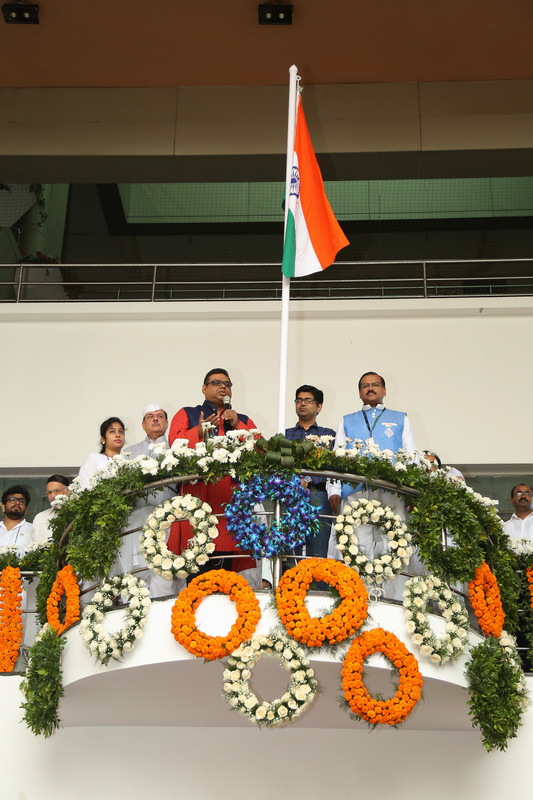 Following the national flag hoisting ceremony, Dr. Sarkar and Mr. Rohit Pandharkar, Chief Mentor, WeSchool REDx Innovation Lab and S.P. 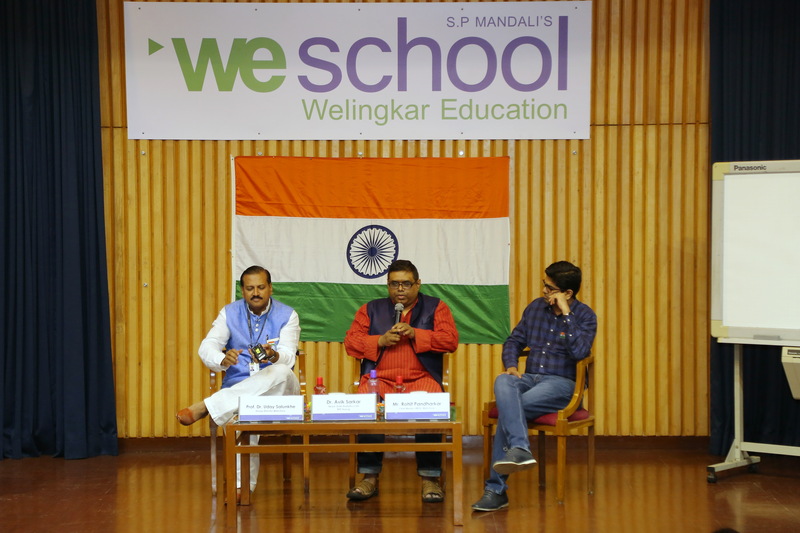 Mandali’s WeSchool leadership and Group Director, Prof. Dr. Uday Salunkhe, interacted with students in a guest lecture session on role of Data Science and Artificial Intelligence in India’s inclusive growth. Guest Session delivered by Chief Guest Dr. Avik Sarkar, NITI Aayog on role of technology followed by Q&A with students, Mr. Rohit Pandharkar, Chief Mentor, WeSchool REDx Innovation Lab and S.P. 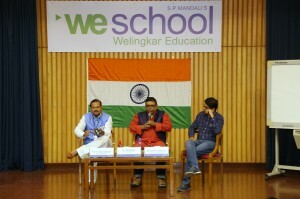 Mandali’s WeSchool leadership and Group Director, Prof. Dr. Uday Salunkhe. Guest Session delved into the opportunities in Artificial Intelligence and Analytics and how it could empower society at large. 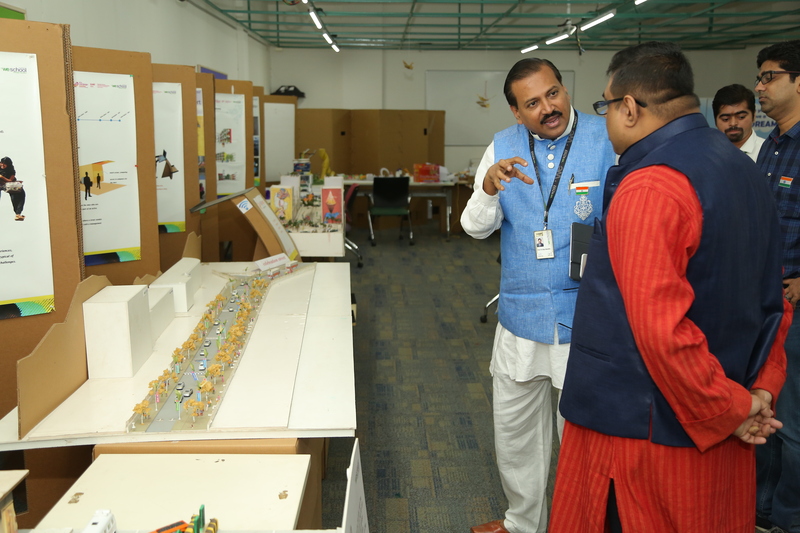 The students are about the growing importance of information literacy, media literacy and digital literacy, asked questions to the Dr. Sarkar, Chief Guest and Head – Data Analytics Cell at NITI Aayog, Govt. of India, on digital analystics, public policies. Dr. Sarkar informed the students how the AI is applicable in areas including Healthcare, Education, Agriculture, Mobility and Smart cities. He elaborated on the role of Government in Artificial Intelligence Leadership for India. He also mentioned that Public, private and academic collaborative efforts for facilitating availability of trained data, research innovation and IP, government adoption, computation infrastructure and skill development will take India to the next level.